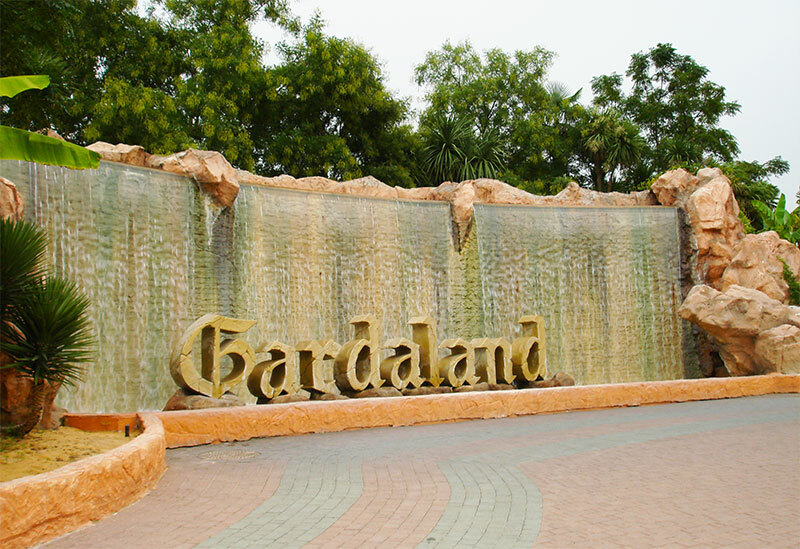 If you’re looking for a shot of adrenaline or the pleasure of being immersed in nature, there are plenty of amusement parks for those of all ages waiting for you around the lake. On this page we’ll tell you about the most famous. This is Verona’s thermal park. A long series of pools and lagoons, caves and waterfalls with salt-bromine-iodine waters. 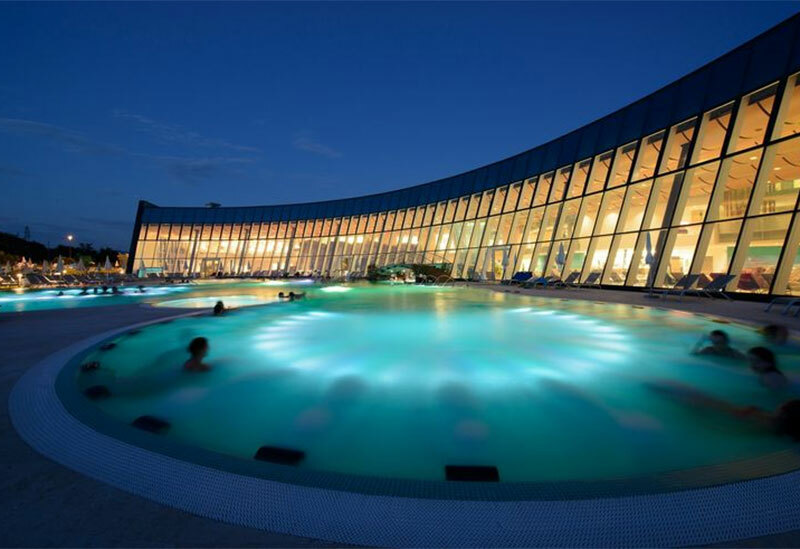 Aquardens rests between the hills of Valpolicella, a few minutes from Verona and from Lago di Garda, with relaxing atmospheres, long baths, hydro massage and music chromo therapy. 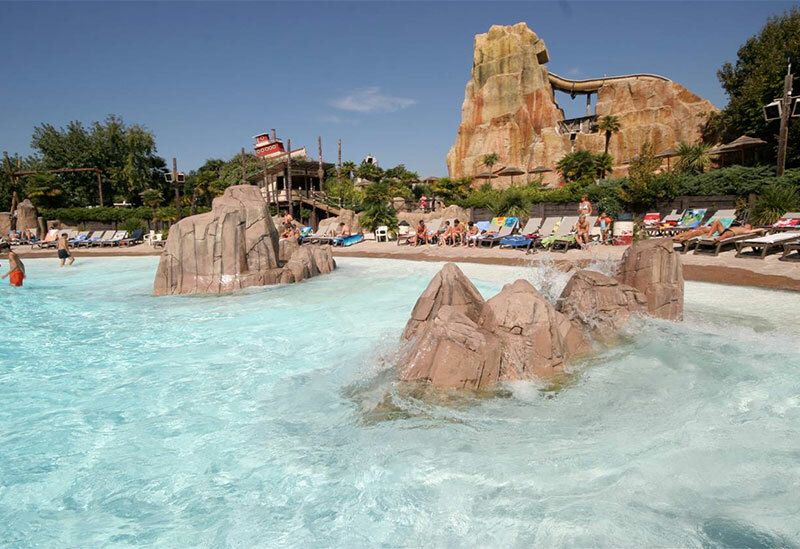 Located on a tropical island, the Aquapark is part of the Canevaworld Resort, the height of entertainment of the Lazise town. Slides, pools and games for all, crazy descents onto the water and so much more. Italy’s most famous amusement park, visited by over two million people every year. 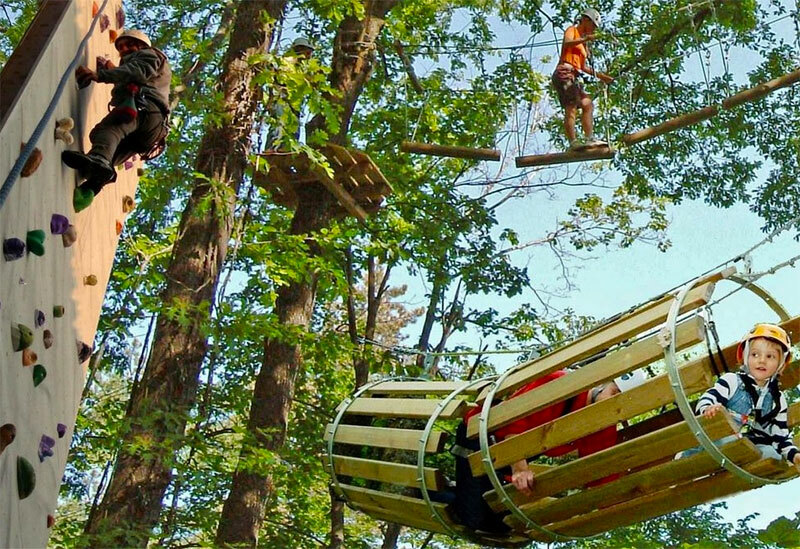 Dozens of attractions for the young and not-so-young, divided into areas and themes, developed to the limits of possibility – so much adrenaline for a day of pure fun near the lake. Fun and adrenaline on three different routes, adapted for every age. 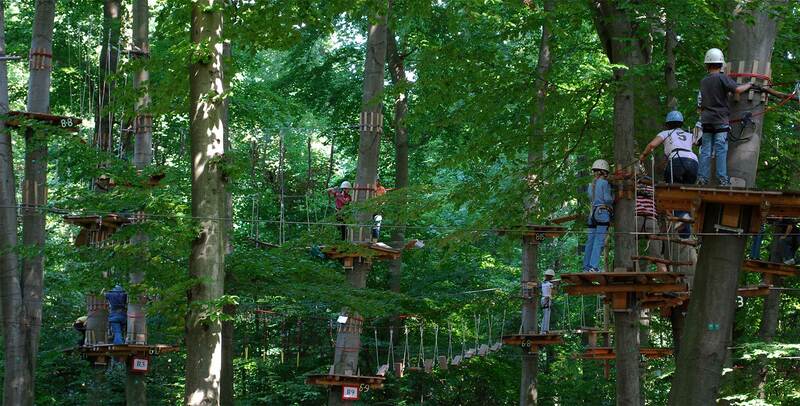 The adventure park offers Himalayan and Canadian bridges, balance tests, and ups and downs on the cableway amidst the greenery of San Zeno di Montagna, a tourist locale between Bardolino and Malcesine, also known as the Balcone sul Lago di Garda (Balcony over Lake Garda). 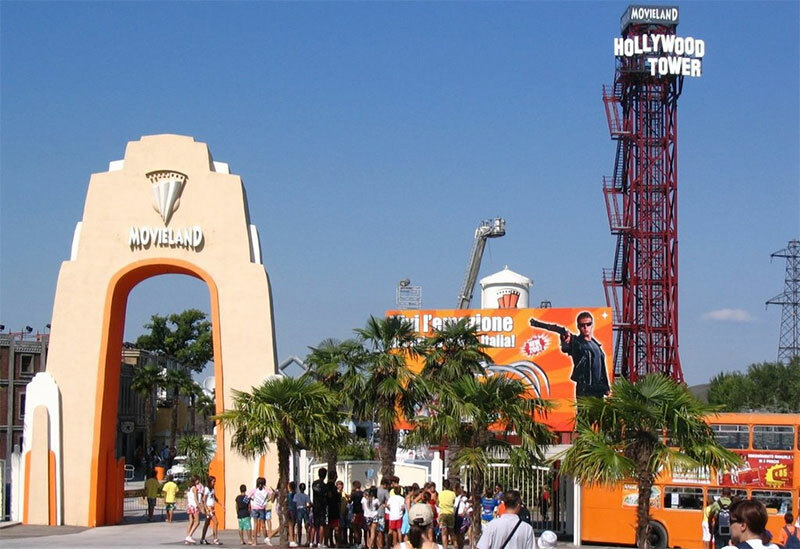 Another part of the Canevaworld Resort, Movieland is Italy’s first amusement park with a cinematographic theme. You can watch shows rich in special effects, drive on the legendary Route 66, feel the magic of a Hollywood set and enjoy mini-show deals of great international films. 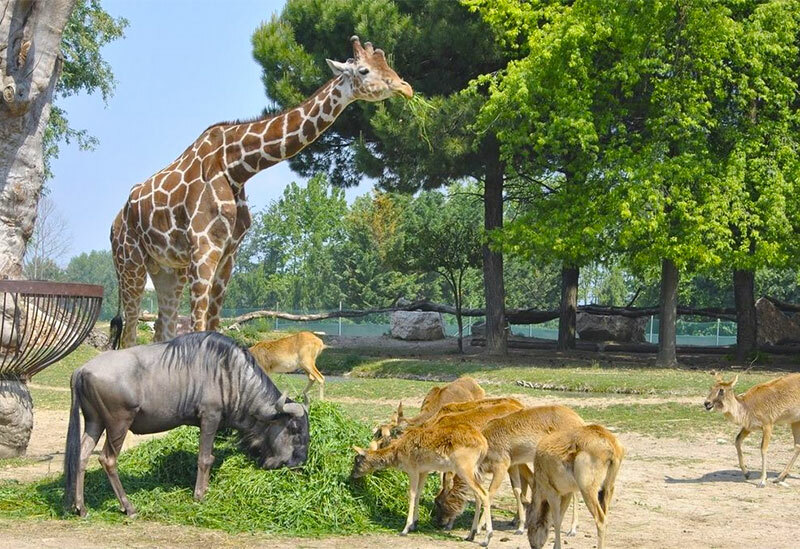 This fauna park in the Bussolengo area is dedicated to the preservation and rehabilitation of many endangered and at-risk species. You can try the zoo safari to observe the animals of the African savannah. You can immerse yourself in rainy tropical forests or venture into the Australian Outback with the kangaroos, emus, cassowaries and other Australian birds.